Creativity is limitless, and so is the number of shapes you can make from Pipegram. To stimulate your creativity even further and give you room for even more ideas, you can buy refills of all of the basic pipes and black and white joints. 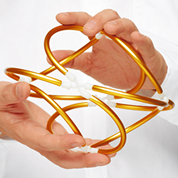 Build bigger shapes or explore totally new ones! A refill of silver straight pipes. 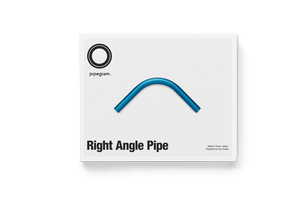 A refill of blue right-angle pipes. 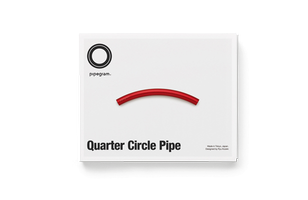 A refill of red quarter-circle pipes. A refill of green 60° elbow pipes. A refill of yellow half-circle pipes. A refill of straight line-shaped black joint parts. These hard joints will make sturdy shapes. A refill of Y-shaped black joint parts. These hard joints will make sturdy shapes. 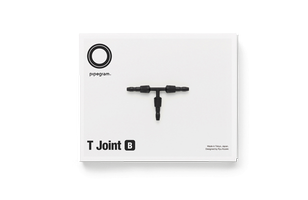 A refill of T-shaped black joint parts. These hard joints will make sturdy shapes. A refill of X-shaped black joint parts. These hard joints will make sturdy shapes. A refill of five-pointed black joint parts. These hard joints will make sturdy shapes. A refill of six-pointed black joint parts. These hard joints will make sturdy shapes. A refill of straight line-shaped white joint parts. 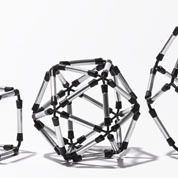 These soft joints allow you to change the shape of finished creations. 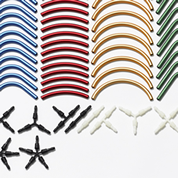 A refill of Y-shaped white joint parts. 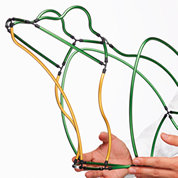 These soft joints allow you to change the shape of finished creations. A refill of T-shaped white joint parts. 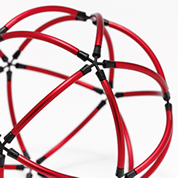 These soft joints allow you to change the shape of finished creations. A refill of X-shaped white joint parts. 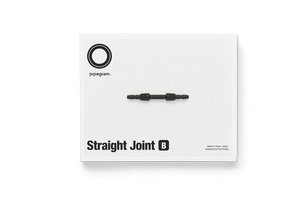 These soft joints allow you to change the shape of finished creations. A refill of five-pointed white joint parts. These soft joints allow you to change the shape of finished creations. A refill of six-pointed white joint parts. These soft joints allow you to change the shape of finished creations. Anybody can enjoy making Pipegram models with this set of short pipes. Kits for building specific things, with all kinds of original parts. Refills of all types of the basic pipes and the black and white joint parts. © 2014 Busyu Kogyo Co., Ltd.